Summer is all about warm weather, family experiences, and the great outdoors. 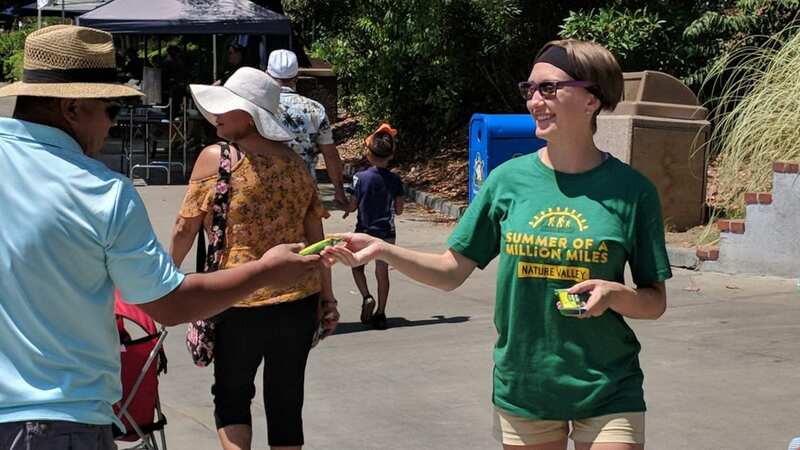 In an effort to take advantage of the season’s relaxing vibe, this past summer Nature Valley partnered with Allionce agency to distribute samples of their granola bars at the ultimate family summer destination – the zoo. With the help of Elevate Staffing, brand ambassadors reminded zoo and aquarium attendees across several markets to use Nature Valley granola bars to keep them fueled for the trail ahead, wherever that trail may lead. In addition to making everyone’s day with free granola bars, the program was part of a Nature Valley’s larger campaign, Summer of A Million Miles. First, brand ambassadors helped consumers download an app to track the miles they hiked. Next, they explained that, for each mile, participants were entered to win exciting prizes. But that wasn’t all. If everyone participating collectively logged at least on million qualifying miles, Nature Valley would donate $250,000 to the National Park Foundation. The activation showed love for consumers as well as love for nature, aligning perfectly with the brand’s values and identity.